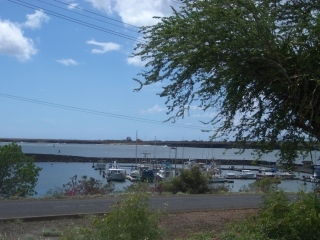 Discover Hanapepe on the sunny west side of the island. After leaving Kalaheo enjoy the expansive ocean spread out before you as you slowly descend as though in an airplane from 700 feet to sea level. 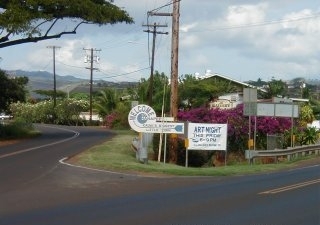 Watch for the sign that welcomes visitors to "Kauai's Biggest Little Town". 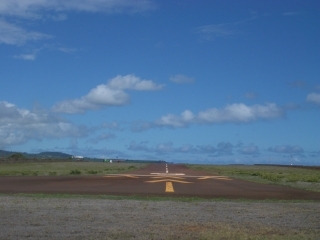 At one time, Hanapepe was the center of commerce and entertainment for the island boasting movie theaters, a multitude of stores, the islands first airstrip, and the second largest port. 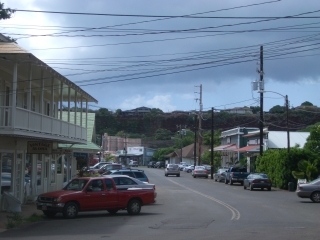 Today, Hanapepe is a quiet little town. It's historic buildings make the town a favorite of artists, moviemakers, and tourists. Friday night is Artists Night, an enjoyable opportunity to walk downtown and meet some of the local artists and artisans. If you've seen Thornbirds or Flight of the Intruder, you may feel like you're on the movie set since portions of those movies were filmed here. Close by is Salt-pond beach park with a delightful, reef-protected swim area and lifeguards. Miles and miles of golden sand beaches are a short drive North to Waimea, Kekaha, Barking Sands, and Polihale State Park. Don't miss the sun setting over the Forbidden Island from the Kekaha beaches. Want to try the south shore beaches? Poipu Beach Park is only 20 minutes away and Mahalapeu is just beyond that. Best of all, this is the sunny side of the island and temperatures are moderate all year round. It's minutes from Port Allen Harbor, the best launch point for Napali Coast boat tours. This is the side of the island featuring Waimea Canyon and Kokee State Park with world-class hiking trails and stunning views of the canyon and the ocean. 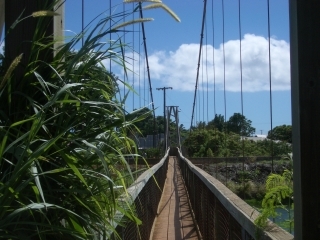 Don't forget to check out the swinging footbridge over the Hanapepe River. Just be considerate of the locals who view it as essential to their way of life. You can visit the Hanapepe farmers market held each Thursday afternoon and select your fresh fruits, vegetables, and flowers. Contact Richard Dolbeare, a Certified Residential Specialist, for additional sales information on Hanapepe homes.